According to a few nation newspapers, fans are going to get a shock, as series seven is to have a lesbian character 'shake-up' in the pipeline. 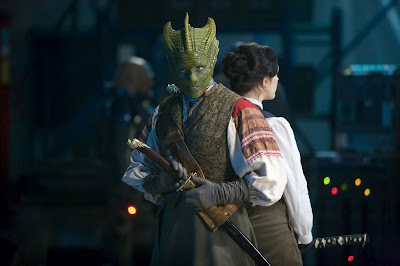 It's been reported that the character Madame Vastra, played by Neve McIntosh in Series six episode seven: A Good Man Goes To War, will be returning in the next series to add a 'lust mood' to a particular storyline. According to rumours, the Silurian character will get the hots for new companion, played by Jenna-Louise Coleman. A Source (although, usually not a reliable one) has said: "Steven Moffat loves to shake up the show. What better way than a lesbian storyline?" 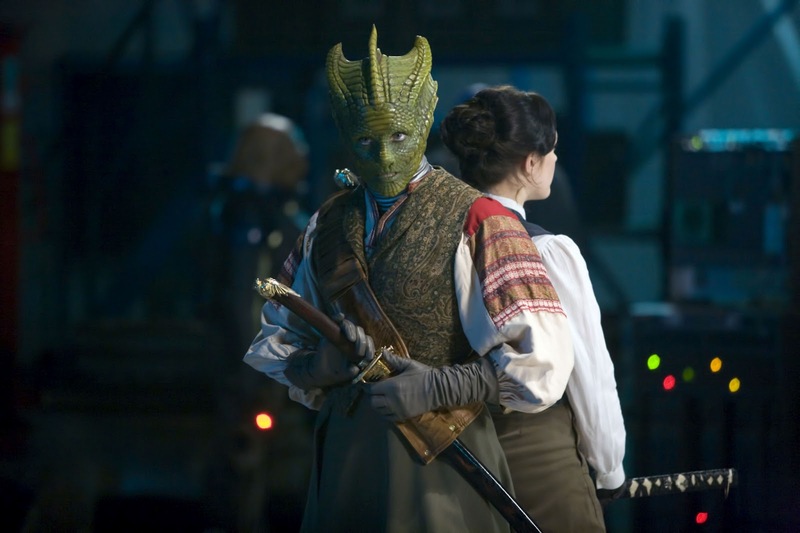 After the appearance of Madame Vastra and Jenny, a huge number of the audience urged on a return of the pair, or even a spin-off series of their own. Steven Moffat did have thoughts over a series, but was put of by the large number of deadlines on Doctor Who and his other hit BBC show, Sherlock. Haha nice, glad shes back. Wonder if Jenny's back too. It'd be weird if she was back and Vastra was coming onto Clara. so can we expect hot inter-specials lesbian action? Personally, I think it's a joke Moffat is playing with us to get us talking about the show... Though it could be fun in an innuendo sort of way. its definitely not true,neve was asked on her twitter about it and she said that she hadn't been in any talks with Steven moffat about it. Guys can you cite sources in your posts, it makes investigating easier!